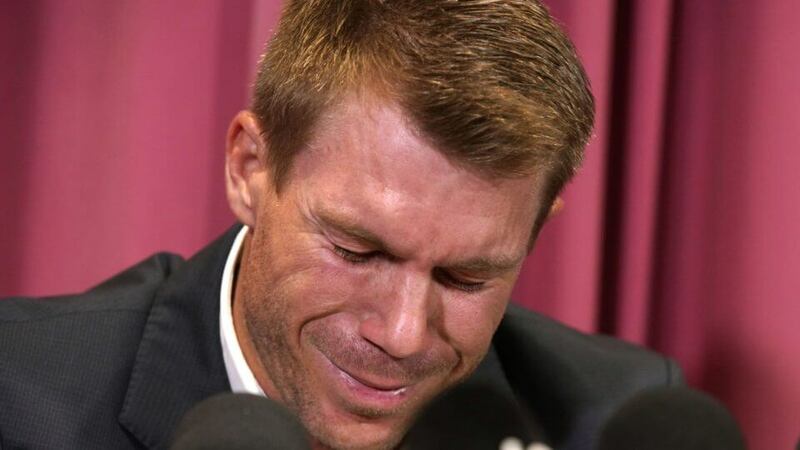 While reporting to the media in the accusation of Ball-Tampering, Australian former Vice-Captain David Warner puddled into tears. Starting from the beginning, he thanked all the media reporters, journalist for showing their availability. And then he said, “I am responsible for my actions and extremely remorseful. I have let team-mates down, the Cricket Australia support staff, my family and myself down. I am extremely apologetic and I am here to put my hand up to apologize. I made a decision that I’ll regret for as long as I’ll live. It is heartbreaking to know I will not be taking the field with the team-mates I love and respect and have let down. He kept on saying that he let his team, his nation and the love and trust of fans down. He again and again asked for the apologies. David Warner is banned from playing for the nations and any leadership role in future for 12 months. When he was reporting to the media and whenever he was asked any certain degree of sensitive questions, he just went into tears. It is quite acceptable that the situation is very numb for them, it could for anyone. But not answering the asked questions and instead kept on crying would raise a question over the faking of emotions. Later on Twitter, David Warner shared three tweets. Looking over the tweets, it is clearly visible that Warner was just ignoring the questions and his accountability. He was giving excuses of place, time, procedure and authorities which were totally irrelevant and reluctant. It is pretty obvious that authorities have taken all the procedures in action and what is the right time? Isn’t it just after the incident? Mr. Warner had tried to very smart but he didn’t know that media is very powerful. Soon after his interview, people trolled him a lot as ‘cry warner cry’, ‘Warner has crocodile tears’, etc.